Please support the Loganville High School Baseball Program. Welcome to another year of Loganville High School Baseball. We are excited about the upcoming season as we are fresh off Back to Back State Championship Seasons in 2017 & 2018 along with a 2016 State Runner-Up finish. Below are few highlights as we enter the 2019 season. 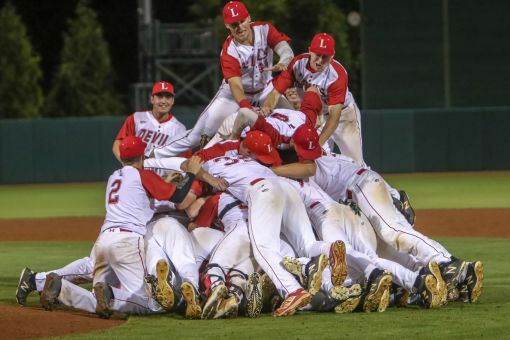 ~ The LHS Baseball Facility was recently voted the 2017 State Field of the Year and has recently added additional seating for our fans at Red Devil Home Games. ~ The 2018 team recently had six seniors sign National Letters of Intent to play at the next level. This brings a total of 73 student-athletes to graduate from LHS go on and play at the collegiate or professional level over the past 20 years. ~ Our program will continue to promote character education and service projects with our players. We will host weekly Character Education Meetings throughout the season. ~ Our program will service 120 players/ parents this upcoming season through our high school teams and feeder programs. An additional 150+ campers will utilize our facilities and several thousand fans will attend games at the new Red Devil Field in 2019. ~ 2013 LHS Graduate Clint Frazier made his Major League debut with the New York Yankees in 2017 and is on track to have a big 2019 season with the Yankees. 2014 LHS Graduate Logan Mattix was drafted by the Houston Astros in the latest MLB Draft, after an excellent four-year career at Georgia College and State University. Former MLB All-Star Brandon Moss officially retired after 10+ years of playing professionally. the Loganville High School Baseball Program has been fortunate to have the support of the community, family, and friends over the years. Thank you for your time and continued support to help us achieve a successful reason. 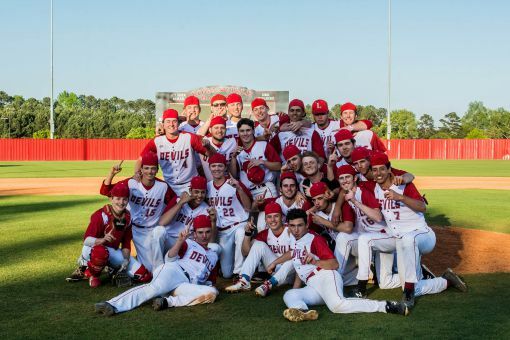 Mission Statement: "The Loganville High School Baseball Program's Mission is to implement a program that exercises the long-term development of character, discipline, and work ethic among the players, who, through the process, will be given the opportunity to grow both mentally and physically, allowing each player to find success on and off the field."